I’m Chris Tingay, owner of Patchwork Castle, and it’s my absolute pleasure and privilege to share the amazing world of memory patchwork with you. We love creating gorgeous baby clothes keepsakes, adult clothing memory quilts, memorial quilts, keepsake cushions, t-shirt quilts and more. We can use your baby clothes and children’s clothes, loved one’s clothing or other special items like cub scout uniforms, band or sporting t-shirts or even a wedding dress. Handing over your precious clothes, full of memories, to a quilter is a pretty big step of trust. Our small team (Millie, Carol, Fiona and Lucy) take great pride in creating your keepsakes. We know there are no second chances with your treasured clothes, and we take the trust you place in us very seriously. 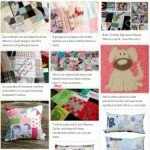 Want to create your own memory quilt or keepsake cushion? Keen to support the large numbers visiting Patchwork Castle for inspiration, I sat down to gather our experience and expertise and our ‘make your own’ area is the result. Our Baby Clothes Quilt Tutorial is a fabulous, easy to use resource, and there are articles, resources, product reviews and inspiration on our blog. I hope you’ll come back again and again as we grow to pick up new ideas and join in the discussion. We also offer a bespoke patchwork quilting service for that special patchwork quilt that can’t be found in the shops. Soft, beautiful, unique and practical, our top quality products will provide you with years of delight and keep those special memories close at hand. 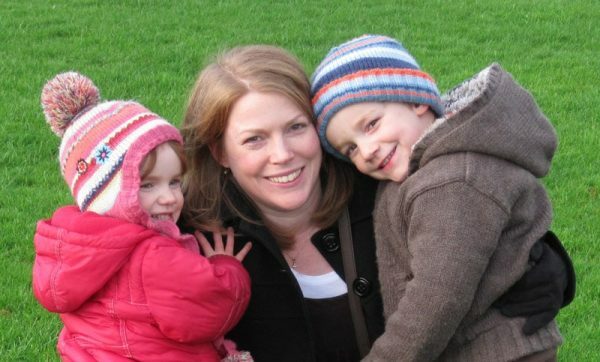 When she couldn’t bear to part with her children’s treasured baby clothes, Christabel Tingay looked around for a service that would transform them into something lovely that would hold the memories forever. Finding nothing of the quality and design she was seeking, she decided to revisit her old hobby of traditional patchwork and quilting and give it a try herself. The result was quite magical – a wonderful quilt, full of the precious memories of her children’s first years. Beautiful, practical and a solution to the bags gathering dust in her loft, Christabel knew that this lasting heirloom would appeal to many. Grasping the opportunity to leave her career in the civil service, Christabel set about launching her business, Patchwork Castle, to make keepsake memory quilts full-time. Her expertise in blending together the differing fabrics and irregular shapes of baby clothes to create a harmonious and stunning piece means the orders have been coming in thick and fast since day one. The range now includes keepsake cushions and memory quilts made from adults’ clothing; customers tell her that these bring a special comfort to people wishing to remember a loved one, and a brilliant way to preserve memories of special times in their lives. The talented team at Patchwork Castle can also create bespoke patchwork quilts from new fabrics, or undertake special project. Recent commissions include a patchwork quilt with appliques of London landmarks and icons, and recreating a stained heirloom crib blanket into a quilt for the next generation. As the number of commissions has grown, the team has also expanded. Several extremely talented, local women now work with Christabel to produce the quilts and cushions. However, Christabel likes to keep the team small so that each quilt gets the dedicated love and attention to detail it deserves. Patchwork Castle has also brought about positive changes to Christabel’s own family life. Gone are the days of flying out of the house at dawn to face a long commute to a stressful job. A home studio means she now spends the day creating beautiful things that bring people joy, and is around when the children return from school to continue making their own family memories.